bebop spoken here: Jazz Co-op Receives Parliamentary Approval! Chi Onwurah, MP for Newcastle Central visited the Jazz Cooperative pub, The Globe, as part of this year's Cooperatives Fortnight. The cooperatively owned pub is set to open on July 18 with an all-night party (or should that be "sitting") featuring the Strictly Smokin' Big Band, poet John Challis and a jazz funk DJ. 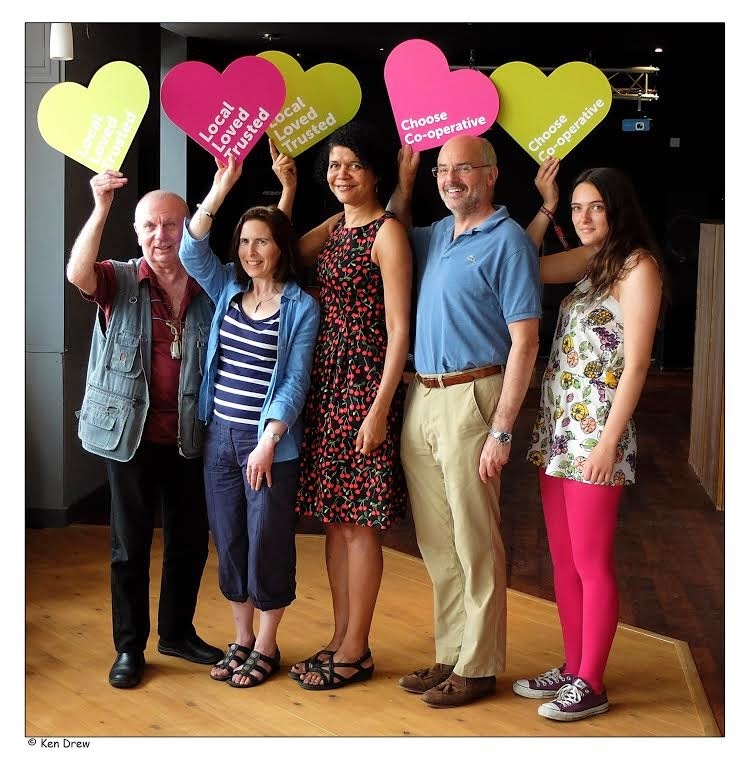 Jazz loving Ms Onwurah, caught on camera (by Ken Drew) and flanked by four Co-op members spoke enthusiastically about the venture and the progress made in the pub's refurbishment promising to attend as and when her parliamentary schedule allowed.